The University of Tennessee, Knoxville has launched a pilot bike sharing system which enables users to swipe their university ID card to check out and return bikes to the station when finished. The system will include two bike sharing stations, each with ten bikes – seven electric bicycles and three standard bicycles. Each electric bicycle has an attached motor which activates when pedaling becomes too difficult for the rider. The sharing stations also have an integrated bike rack, with a battery-charging kiosk, which distributes batteries to those who check out the e-bikes. 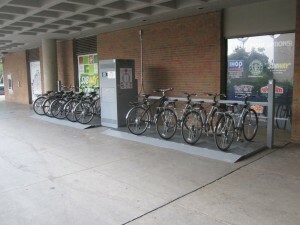 Students can simply swipe their campus ID to check out bikes, and return them to the station when finished. 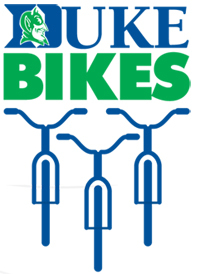 “We are pleased to add the e-biking share program as we work to become a more pedestrian and bike friendly campus,” said Jeff Maples, senior associate vice chancellor for finance and administration. CycleUshare developed the two automated bike stations, which consist of an automated kiosk for check-in and check-out, as well as an integrated battery vending system whereby a user places an existing used battery for recharging and obtains a charged battery. If successful the system may be adopted into a full-scale program by the university.